Folks, it's been a wild ride. This blog started out as a mommy-ish blog when my kiddos were babies, and then it became a book blog. I have read so many amazing novels and chatted with so many readers and I don't regret a minute of it. But two things happened. First, the world of book blogging became too much for me. I felt like everything was a drive to read more and review it. 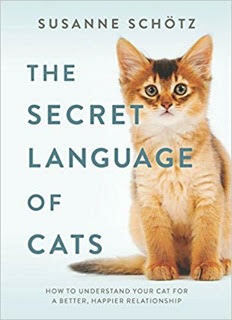 Couple this with my book clubs and, frankly, I never got to read anything just for fun...and I began to resent it. Secondly, something started to change with me and my focus shifted. I realized that there was a different path I felt called to take. This is not goodbye, not really. While I no longer consider myself a book blogger, I am still a blogger. This is, instead, a change of address. You can now find me at A Web of Stories. Soon, my Facebook, Instagram, and Twitter will be changing as well (it's crazy and the end of the year, so my focus was only on the blog). While I won't be doing book reviews (although I do foresee the book recommendations now and then), I still feel that I am at least bookish-adjacent. I will also continue Saturday Snapshot, but at my new address. So, to quote Porky Pig, th-th-that's all folks! I always plan to have Christmas pictures for this first Saturday Snapshot after Christmas. But, like so many years past, I was so busy Christmas-ing that I didn't take very many pictures! 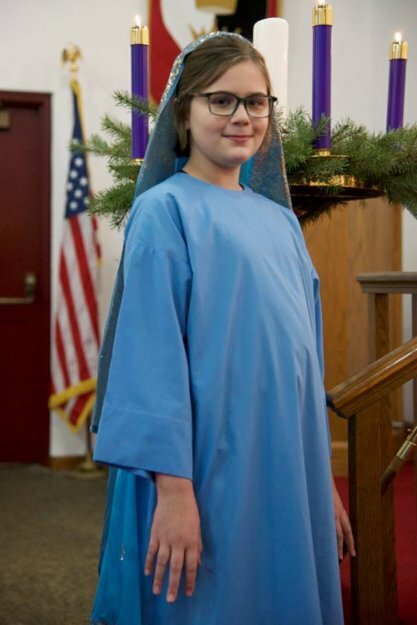 So, I'd like to go back in time 2 days to when my kids were in the church Christmas pageant. This was our first Christmas at this church, but the second pageant for my daughter (last year, she visited as an angel). 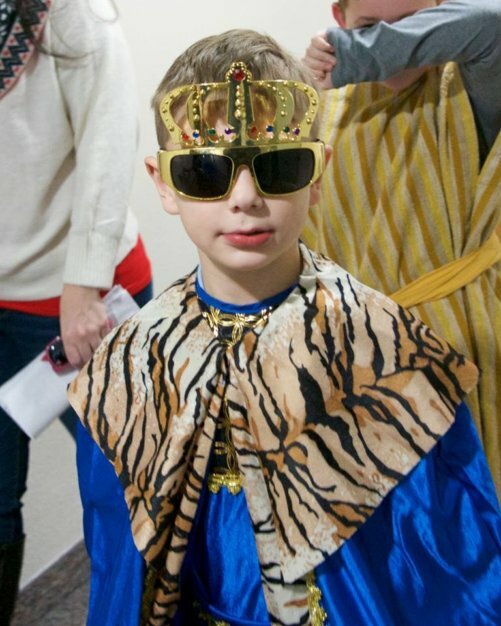 This year, my daughter was Mary and my son, who had refused to participate last year, was a scene-stealer as Herod. 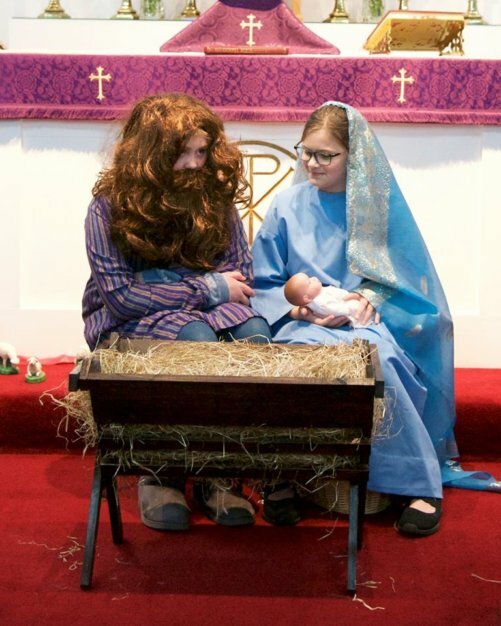 This year, it was my daughter's friend's turn to play visiting pageant player and she played Joseph with aplomb! As of 2019, I will have a new blogging home. Instead of moving this blog, this one will remain as is and I will be setting up shop in a new location. More details will come as we get closer to 2019. This first one is one of those parental embarrassment moments that we just can't help but share (and, one day, our kids will hate us for it). This is the first (not delivered!) card that my 2nd-grade son made for his teacher. Do you see the problem with it? And this one was from just this morning...as you can tell, it was ugly sweater day at school. The kids have been busy with holiday celebrations at school and I've been fortunate (or crazy?) enough to go in and help whenever I can. This past week, my son's second-grade class made their own gingerbread houses (technically graham cracker houses, but you know what I mean!). I was amazed--there is no way I would have the patience to do this myself, much less teach kids how to do it. But my son's teacher is amazing and it all worked out perfectly! Alas, his creation did not last long. As soon as we got home, both kids got to work on devouring it! One of the big things that happened was that we discovered that my daughter's hair was finally long enough to donate! We were both *very* happy for her to get that haircut! And, of course, we need an Alice picture. She was strangely playful on Thanksgiving night. I apparently paid too much attention to cooking and not enough to her, because she wouldn't leave my side! My daughter's Girl Scout troop has been trying to do an outdoor activity every month (although I don't think it is going to happen in November or December--it's just too busy!) and, in October, we took a hike in Portland's Forest Park on the Macleay Trail to the Witch's Castle. It was an easy hike, as well as very popular! I think every dog in Portland was there that day. The girls loved it--I think they ended up spending about 45 minutes just exploring the building. It isn't an Oregon hike until you spot a Banana Slug! A lovely view of North Portland as we left the park. The trailhead is below us. Well, I'm having some technical difficulties with what I had hoped to post today (and I'm in the midst of Nanowrimo, so I don't have much time to figure it out at the moment), so her is a picture of Alice. Hopefully the intended pictures will show up next week!